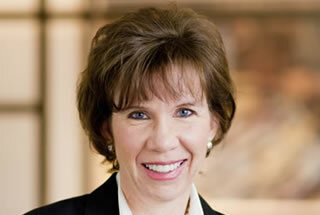 Susan E. Piette is a Principal of the firm. Susan concentrates her practice in the areas of estate planning, family wealth management and business succession planning by focusing on client values, inter-family dynamics, and the type of legacy they want to leave behind. Every family is different, and Susan is committed to providing clients with unique estate planning services that meet their specific needs. She has guided hundreds of clients in creating customized estate plans with asset protection and complex distribution patterns. Her focus also includes a special emphasis on the senior population and those individuals with long term care Medicaid needs where she works diligently in protecting their assets from long-term care costs by qualifying them for Medical Assistance (Medicaid) long-term care benefits. In addition to her estates practice, Susan has extensive expertise in municipal law, land use, zoning and real estate matters, and she utilizes her background in contracts, regulations, compliance, negotiations and committee and board interaction to assist her clients in analyzing and implementing their estate and long term care plans. Susan received her undergraduate and law degrees from the University of Illinois. *All speaking engagements prior to 2015 may be requested, but are too lengthy to provide in bio. Susan has always been active in giving back to communities through her leadership and activities as a Child Ambassador for World Vision, a Christian relief, development and advocacy organization working with children, families and communities to overcome poverty; through her church mission efforts in the Montgomery County and Camden areas and as far away as Haiti. Susan has three adult children. She enjoys time with them, traveling, baking, and photography. She is also an avid perennial flower gardener. Negotiated an Escrow Agreement to permit entrance of an elderly client to the skilled nursing facility of her family’s choice after her entrance application had been denied due to liquidity and uncertainty of funds, her geographic residence and that of her power of attorney at the time the application was made. The facility would not accept the family’s promise to pay for care in light of the unknown time it might take to sell the out-of-state residence which was to be utilized to pay for the client’s care. The Agreement provided for funding of an escrow account by a family member from which draws could be made to pay for cost of care while the out-of-state residence was being sold. The Agreement and escrow assured funding of care but did not add additional assets to the client that would need to be spend down in the future should Medicaid be needed to pay for care once the assets of the home sale had been depleted. Prepared Caregiver Agreement for client delineating specific role, responsibilities and obligations of adult child as caregiver and documenting legal payment to adult child for copious time given to care of mother. The Agreement allowed for a transfer of funds from the mother which would not be categorizes as an ineligible transfer of funds for Medicaid purposes, and which would provide the adult child with a means to receive an income for the care being given. Served as Solicitor for several Townships and Zoning Hearing Boards, overseeing quasi judicial municipal land use public hearings, authored multiple municipal zoning decisions. Responsible for negotiations of municipal multi million dollars land development and subdivision financial security agreements, conservation management easements and land use restriction declarations. Facilitated tax anticipation borrowing loans and municipal borrowing for municipal open space purchases.